I don’t know about you, but I tend to fly by the seat of my pants when it comes to last-minute Christmas gift ideas. I actually plan on finishing everything this week – after I sit down and give it some thought. As far as budgeting time to give it some thought – well, I’ll have to pencil that in somewhere. 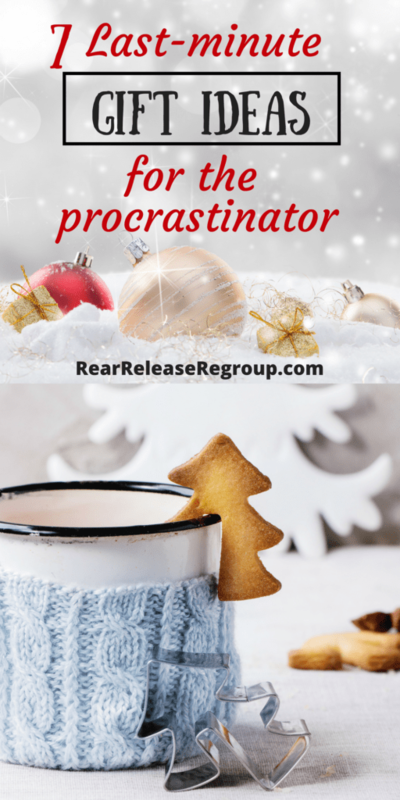 Meanwhile, I figured all you fellow procrastinators might benefit from a few simple ideas, and I have stellar answers! These are all digital products that will come to your inbox TODAY. You see? 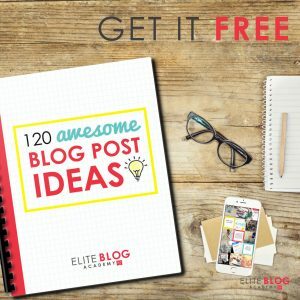 Even Christmas shopping slacker-mamas can win with this list! Why are these stellar gift ideas? These mamas are strong believers who love their families and seek to put the Lord first in all they do. I never promote anything that I don’t first research or use myself. 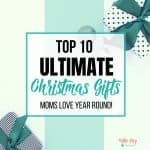 I’ve either seen or used all these products, and these last-minute Christmas gift ideas are gonna knock your socks off! These products will either help cultivate or strengthen your joy. Are you ready, oh ye of little time and long-to-dos? 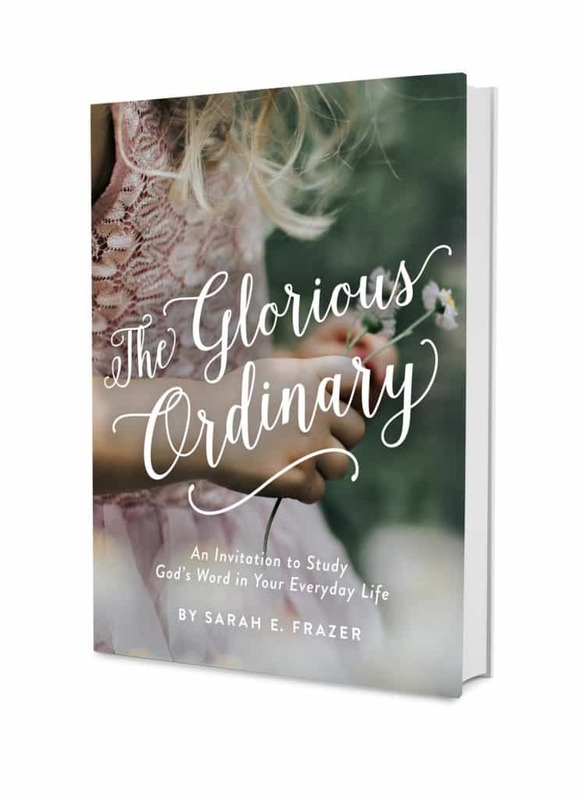 This little gem by my local friend, Sarah Frazer, is a nine-week Bible study designed to lead you into deeper study of God’s Word. Each week includes an introduction, five days of homework, memory verses, and suggested ideas for prayer. Each chapter focuses on the following aspects of Christian life: Daily Love, Daily Grace, Daily Rest, Daily Joy, Daily Hope, Daily Surrender, Daily Prayer, Daily Peace, Daily Presence. 2.) Why Just Survive when you can Thrive? 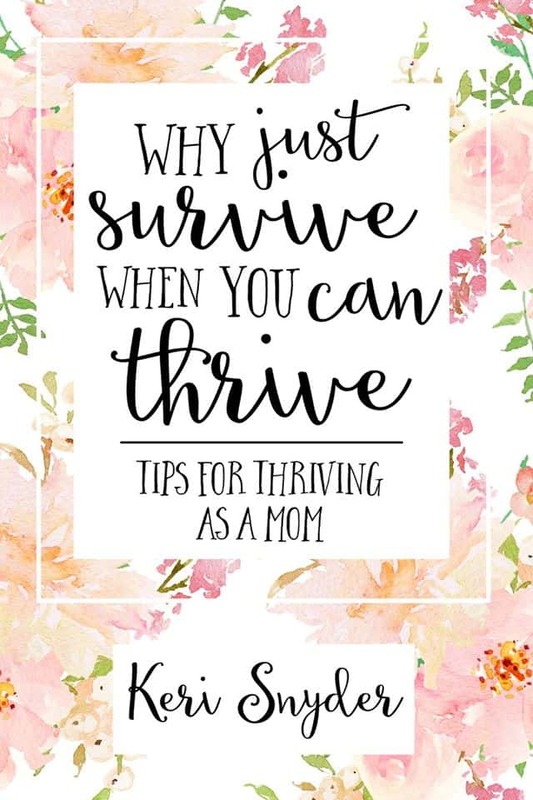 Why Just Survive When You Can Thrive contains eight quick chapters by my friend, Keri, of Living in this Season. 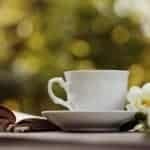 At the end of each chapter there is a challenge and going deeper section. Accompanying the book are eight beautiful Scripture cards to display in your home. Keri, a young mama of three, realized that life in the early rearing years can be so much more than just survival! One day, God started to open my eyes to all that He had for me. 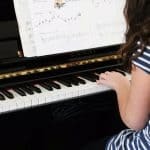 I began to see that I could thrive as a mom. Liz is my IRL friend – I knew her way back when she was a young college student. She befriended my oldest during the tumultuous teen years, and I’ve never forgotten her kindnesses. 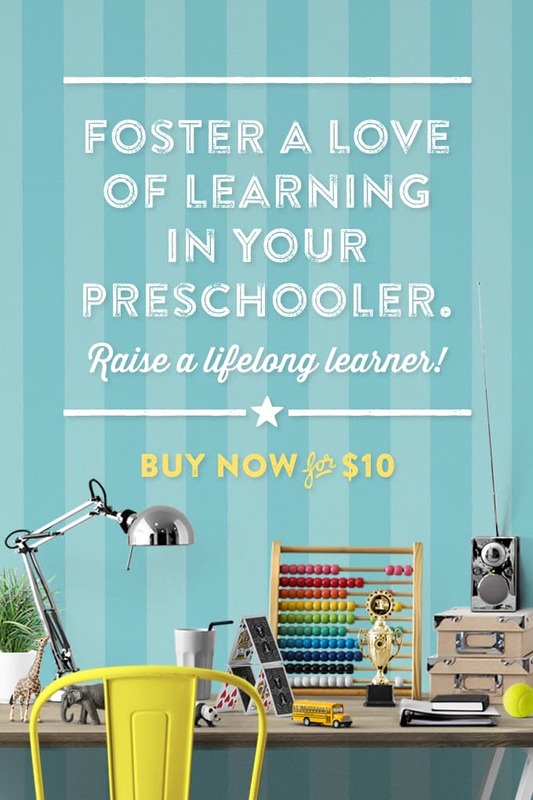 Now, she’s a former elementary school teacher, raising and homeschooling three littles! 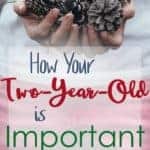 When my oldest turned two, I decided to venture into the world of Homeschool Preschool, and over the past few years, I have discovered loads of creative teaching strategies as well as life-changing time management tips and organizational ideas and have put all of them together in one e-book written with you in mind! If you’re wondering how to balance littles and homeschooling, Liz can point you in the right direction. For more info, go here! My friend, Mel, mother of two grown children, is in the same season of life as me. 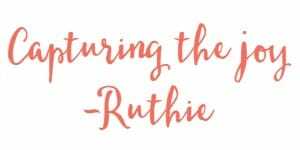 We are learning to let go, and at the same time, impart seasoned wisdom to younger mamas because we were once in their shoes! Parenting is a challenge! And, often along the journey, well-meaning parents lose the hearts of their children. It usually happens somewhere between the time they get their braces and their high school graduation. 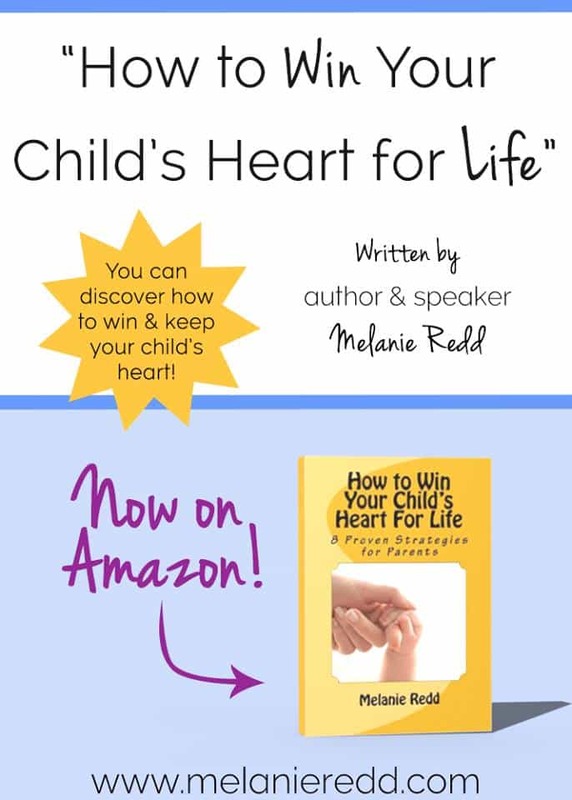 Find out how you can win and keep your children’s hearts for life with these eight tried and proven parenting strategies. Each chapter includes practical instruction, tips, suggestions, advice, principles from the Bible, and questions for reflection and discussion. Mel offers practical advice and sweet memories of her rearing years in this book. Read more here. But – are you ready to gain ground and become the graceful mother your kids will remember? 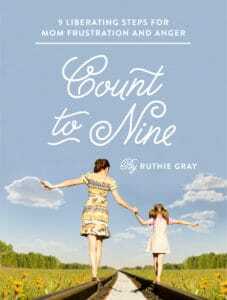 Count to Nine is a practical approach for taming the temper, based on a tested group of young mothers. 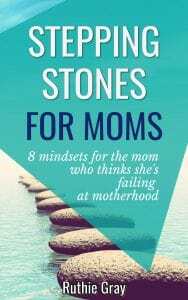 Moms are finding victory, new hope, and support through this encouraging method of actionable Scripture verses and Scripture prayers. Moms are winning the war on temper – and if you want to see how all this came about, you can read more here, or watch my 3 minute video here! If you’re tired of floundering in your devotional life, the Boost-Your-Year Mom’s Devotional Bundle may be just the shot in the arm you need for 2017. This bundle has a value of $125.00, but is on sale for $19.99 through midnight Friday, December 24th! 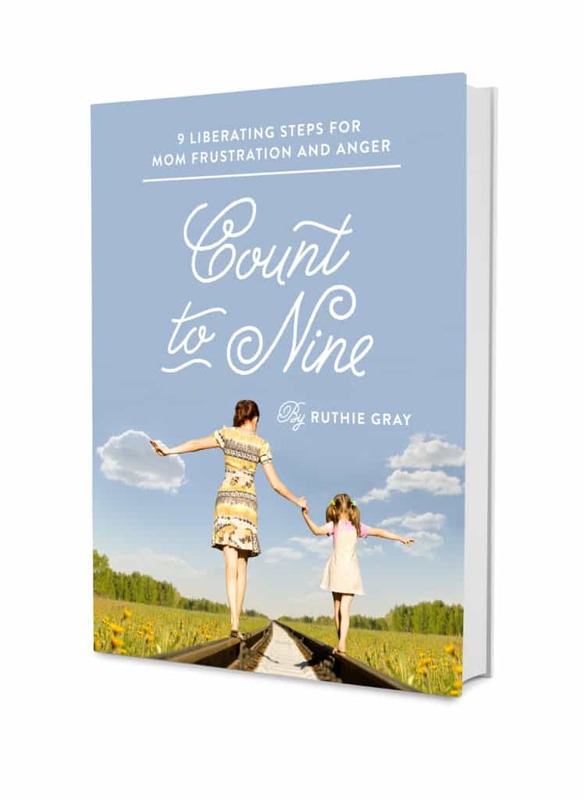 Get ready to blow your mom frustrations out of the water, develop a deeper dependence on the Lord, and implement fresh strategies for graceful reactions toward your family. Sold on Gumroad here for $19.99. Last year for Christmas, I gave this to my best friend and she loved it! 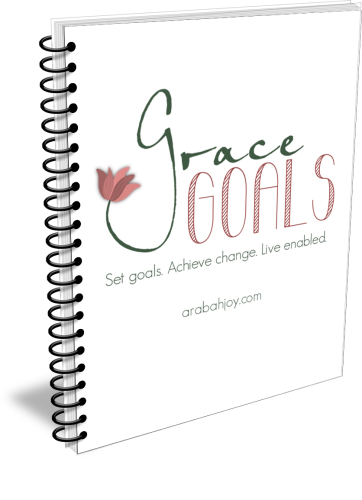 Grace Goals is a proven method for achieving your goals with a Biblical perspective. How do I know? I tested it out last year, and not only achieved my Grace Goal, but surpassed it! 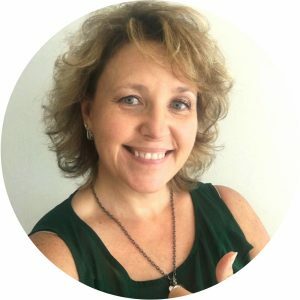 Grace Goals is a 5-day self-paced Bible study that gently guides the participant in the decision-making process and in forming a strategic plan of action. For merely the price of dinner out, it pays itself over in dividends. 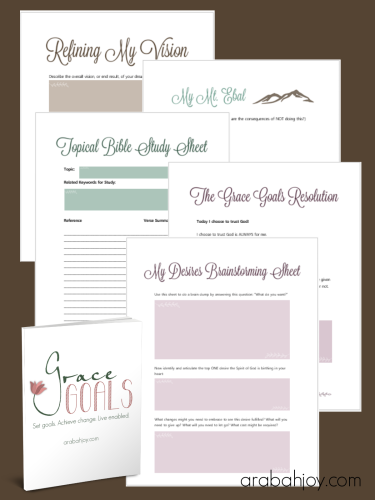 You can read my post about Grace Goals here, or go straight to the site for more info here. 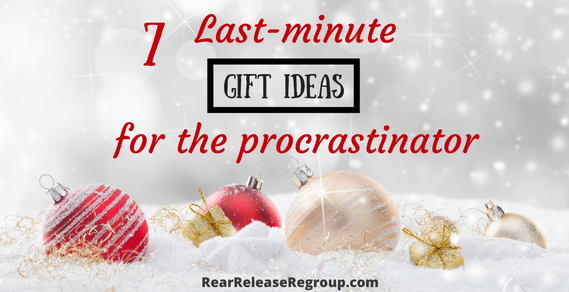 I hope this last-minute list has given you some great gift ideas! They all are pretty much just point-and-click, and BAM! PS are we email friends? Sign up here to grab your Wife and Mommy Survival Kit and more!